The natural charm of wooden gates create an attractive unique entrance to most gardens. Oak, Chestnut or ash are often used for strength and durability. There are many different patterns and sizes and a well made gate should last many decades. 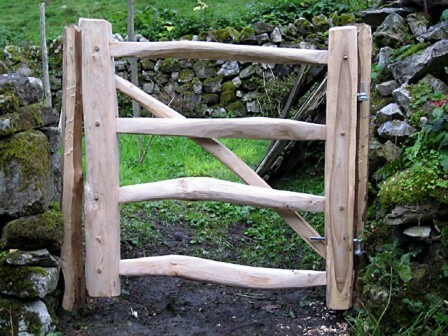 Local coppice workers will make gates to clients preferred specification.